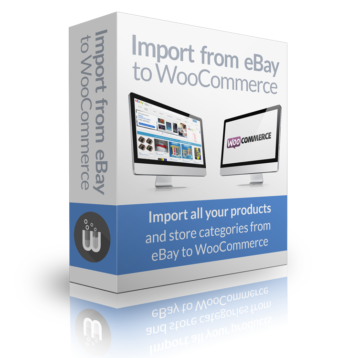 Upload and activate the Import from eBay to WooCommerce plugin. If you have already connected WP-Lister to your eBay account, a green check mark will appear and you are ready for step 2 – otherwise you will have to set up WP-Lister first. Note: In order to manage your listings in WP-Lister you need to select a listing profile to be assigned to all imported items. This is also required if you plan on using WP-Lister Pro to keep your inventory synchronized. If you haven’t created any listing profiles in WP-Lister yet, you should create generic listing profile which only contains some basic settings and give it a simple name like “Imported” before you proceed. You do not have to care about details like listing type, quantity, shipping fees or categories as they will be stored with each imported product. This will fetch a list of products and categories from eBay. If you need to run the import again after you have added new products on eBay, you will have to repeat this step. Click “Run Import” to start importing products and categories from eBay to WooCommerce. The default mode “clean import” will first remove all previously imported products and categories, import your eBay store categories and then import one product at a time. An average server should be able to import 1000-3000 products per hour. 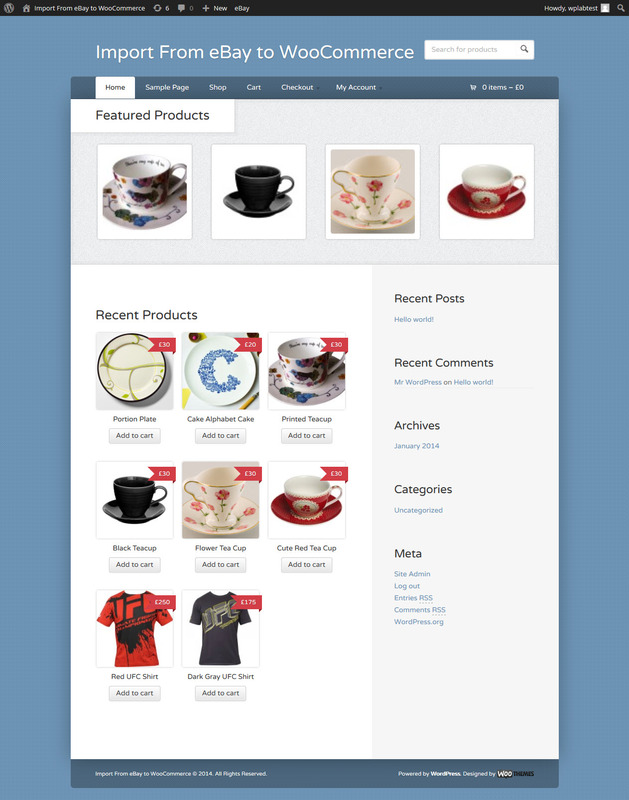 After the import has finished, check out the created products in WooCommerce. Congratulations! You have successfully imported your items from eBay to your WooCommerce site. However, you might find that your products contain some unwanted content that was imported from your listing description on eBay. This includes layout elements like borders or frames as well as text sections like shipping or payment info. Most eBay listings use a predesigned HTML template where the actual product description text is wrapped in a lot of HTML responsible for header, footer, borders and more. If you followed the quick start guide, you’ll probably have imported some unwanted parts of your previous listing template. To extract and clean only the actual product description text, you will have to adjust some settings on the Advanced Options tab – usually, defining a couple of cut in and cut out points combined with some search and replace rules should do the job. If you need help setting this up, please let us know. Another highly recommended option is “Strip text formatting”, combined with the default list of “Allowed HTML tags”. The removal of any <FONT> or <DIV> tags that might mess up your WooCommerce layout is just one reason to enable it – but if you’re using HTML tables in your eBay descriptions, you’ll have to add the appropriate tags to the list of allowed HTML tags. Read on about all import settings and advanced import options. This plugin might require more RAM or execution time that is configured by default on your server or webspace. It mainly depends on the number and quality of your product images – but might be affected to a smaller amount by the number of products as well. If you see a message telling you to increase the available RAM from the default 40M to 96M or more, you can still try running the import as it is. But if you run into any problems, please increase the RAM and timeout settings as suggested before contacting support.